SATURDAY was great. A win always helps, great goals always help, but it was much more than that. 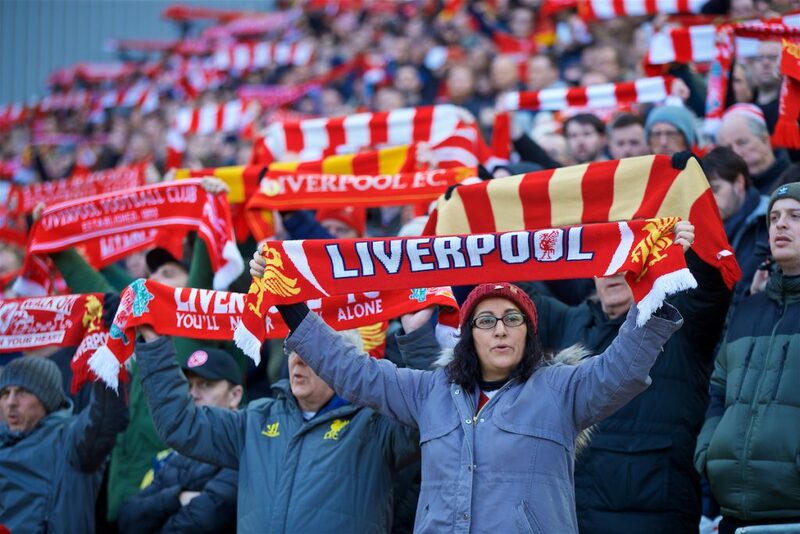 From the widely shared call to arms from The Spion Kop 1906 lads last week, to the rallying cry from Kenny Dalglish on the eve of the match, to the game-day notes from Jürgen Klopp in the programme, there was an appeal for Anfield to be what it can be at its best – partisan, positive, noisy, supportive, singing. We’ve witnessed it be just that under Klopp – for the big games, for the big nights, for the big occasion. This, though, with the greatest respect, was Bournemouth in February. A 3pm Saturday kick off against a team with a poor away record, and Liverpool at odds hardly worth filling out a betting slip for, have not been a conducive mix for an electric atmosphere, either in the modern day or historically. If the appeals had fell on deaf ears, a ground that cannot raise itself to show true support for a side smashing records would have again been on the lists of talking points today. Instead, the reaction was superb. Flags were waved, songs were sung, players were backed and appreciation was shown – from fans to players, from players to fans and from manager to both. The holy trinity back in evidence. Liverpool as we know it can be. It was much needed after the Leicester game. When one of your own references nerves seeping from the stands being something he was conscious of while playing on the pitch, alarm bells should ring. You can pay these lads as much as you like. They can train and prepare for forever more. The manager can stir them however he likes. But if 50,000 people are on your back, you know about it. You feel it. You sense it. And it can’t help. It just can’t. The outsiders are desperate to pile on the pressure. We know this. The insiders shouldn’t be doing the same. Thankfully those alarm bells did ring. And thankfully Anfield awoke. When the media is so immediate as it is in the modern age, it’s often far from being a force for good. It can drip into minds, knit a negative. The same applies to the largely inappropriately titled “social media”. Back-to-back draws with Leicester City and West Ham allowed the media – social and otherwise – to prey on our worst fears about what has been a season to celebrate so far. But what if? Imagine you don’t. You’ve bottled it. Prompted by the pile on, it’s easy to start staring into your football crystal ball and, before you know it, you’re walking disconsolately through town in May and Liverpool’s titles column still reads 18. Yet no one knows. It’s February. And Liverpool have it within their powers to win title 19. Only the now matters. Saturday was defiance – on the pitch and off it. It wasn’t the wait-and-watch atmosphere that has become all too prevalent in the Premier League as a whole. It wasn’t the “entertain me” vibe of a theatre show. It was support. From the off, before, throughout, and after. It was clever, and different. From the aforementioned demands before match, to the reaction from fans, to the songs and sounds that spilled from the stands. 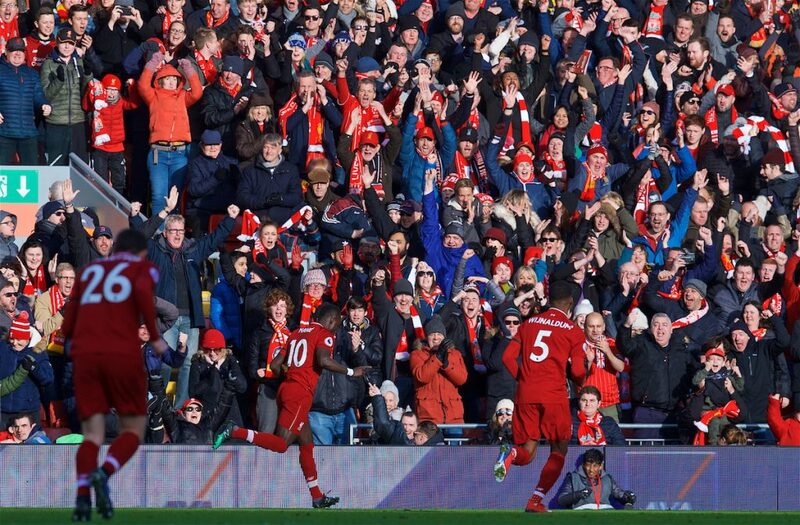 Naby Keita was encouraged and seemed to thrive on the reaction he received as things went right for him individually. Andy Robertson always appears to rise in stature when his song is sung. 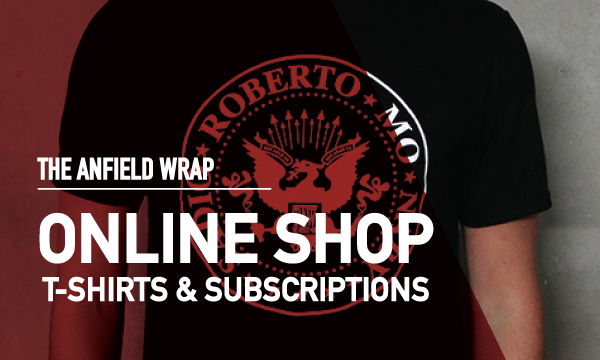 And how about Roberto Firmino? He might not have found the net, but there was a confidence and swagger to his game, epitomised in the magnificent manner he teed up Mo Salah. Did he enjoy the never-ending rendition of his song from The Kop? He wouldn’t be human if he didn’t. Saturday pressed the reset button on a collective anxiety that had been starting to rumble around The Reds. It also showed the way for the home games to come. Everyone knows what to do know. And there’s no debate, zero, about the effect. Ask Trent Alexander-Arnold. If you haven’t read his quotes post match, drink them in. If you have, they bear repeating. They should be writ large above every turnstile at Anfield. “I had never seen a 3pm game at Anfield on Saturday like that before,” he said. Ah, but he would say that, right? He’s a Red after all. What about the opposition then? Did they notice? Is it in their heads? Did it have any bearing at all on their collective performance? Bournemouth defender Steve Cook said: “You could see that the crowd were going to play a major part in the game. I haven’t quite heard an atmosphere like it today, especially when they scored. Six of the remaining 12 Premier League games are at home, with Watford, Burnley, Spurs, Chelsea, Huddersfield and Wolves all to come at Anfield. That’s only nine hours of football to press home the advantage; to again send away opposition talking about what we’ve done, and how we’ve done it, and to again leave our players feeling like they’re something special, feeling like they’re supported, and feeling like this club – as we all believe – is a little bit different to all the rest. “If we want to succeed, we need to do it together,” said Klopp after Saturday’s victory. think George helped contribute to the atmosphere by playing some decent pre match tunes for a change footy related of course . Best atmosphere for a league game (3pm or otherwise) for a long time. I’ve harped on about how quiet anfield has been for all but the biggest European games, but Saturday was a good sign. Even some of the old moaners around me were supporting the side. I think as a fan base we can get too excited about the odd good atmosphere and talk it up for months afterwards – during the prolonged quiet times – whilst not admitting that some of our rivals can make their homes very loud on a more regular basis (utd and spurs in particular). With that said, there was a different feel on Saturday and when anfield really makes the effort, we do have the edge. 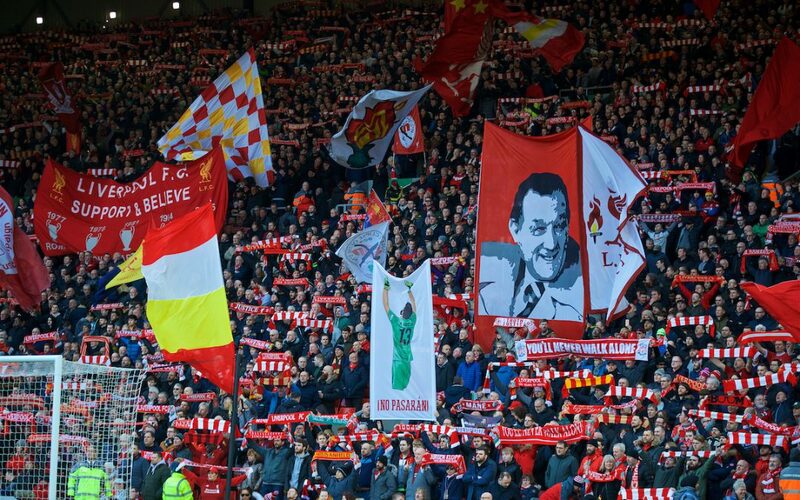 The cliche about the special anfield atmosphere has worked more as irony in recent times but every now and then there’s a flicker of the fire that’s in there somewhere. Let’s go again for each and every game – as robbo suggests, anyone still arguing it doesn’t affect the players is bonkers! Come on redmen! !